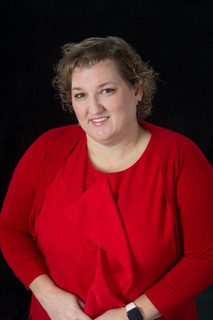 About - Doud Realty Services, Inc.
My husband and I began acquiring rental properties in the late 90’s and as our property numbers increased we recognized the need for assistance. We looked at existing management companies and found them overpriced and severely lacking in services provided. This is what led us to the decision that we could do a better job doing it ourselves. We formed our own company. Our personnel have extensive military background so we feel uniquely qualified to handle and understand the needs of military members when they received transfer orders out of state or overseas. We have a much different approach to managing residential rental property than most property management companies. We are a team of managers that also own rental properties. We understand the difficulties of paying a mortgage when the property is not rented. We work especially hard to keep properties rented with quality tenants. As owners ourselves, we are more dedicated to keeping your property rented and maintained. I left my southern California home of Rancho Cucamonga at 18 to join the Navy. My first tour and duty station was in Norfolk VA on board the USS Gunston Hall LSD-44 (July 17, 1996). As an Interior communications Electrician, I had great advancement opportunity and I was working with cutting edge electronics. I was able to purchase my first home January 28, 1998, where I lived until April of 2002 (which became my first rental property). I decided to re-enlist for shore duty, where I was stationed at US Joint Forces Command Norfolk, VA. I served here from July 2001 in the Briefing and Display Shop where we were responsible all Presentations, Briefing and video conferencing for General Officer conference rooms. After 9 years of Active duty Service in the Navy, my husband and I wanted to start a family, and we also needed someone around take care of our rental property, so I decided to get out of the navy in September of 2004. After the Navy, I worked as a Telecommunications Analyst for CACI as a government contractor, and traveled to all the military bases, from Fort Lee in the Southern Richmond area to as far south into Atlanta, Georgia area. My husband and I were blessed with twins in 2007, so my traveling days were over. In 2009 while working full time for CACI, I obtained my real estate licenses and started managing properties professionally under All/Pros Realty, Inc. I felt in order to be professional I need to align myself with a professional organization that specialized in Residential Property Management to gain knowledge and insight as to how to be the best property manager possible. I jointed the National Association of Residential Property Managers NARPM®, National association of Realtors, NAR®, Virginia Association of Realtors VAR®, and the Hampton Roads Realtors® Association (HRRA®). I realized very quickly that in order to have a thriving business as a property manager I needed to find a real estate company that would allow me to use an online management tool to facilitate growth. In May of 2010, I transferred my real estate licenses to Gallery of Homes Realtors, Inc. My small property management portfolio grew rapidly, and in May of 2011 I was able to leave CACI and work full time in the real estate world. Through different Property Management Conferences, and Conventions, I knew that there were many new and innovative ideas to make my job as a property manager more efficient. My dream of was to open my own Real Estate Firm so that I could implement the policies and procedures, which would incorporate technology to make more efficient use of our time and the money. Doud Realty Services, Inc, opened its doors June 1, 2012 with the help of a Friend, Bill White (as the principal broker). I received my Broker’s license in May 2013 and took over as the principal broker/owner of the company. October 2014 I received my 5 year NARPM® pin in recognition of 5 years of membership in this wonderful professional organization. I decided that in order for my company to grow, and prosper professional designations and certificates in Residential Property Management were necessary in order to be competitive in our market place, I made this our company goal. I applied for Candidacy as an RMP® Residential Management Professional to NARPM® (National Association of Residential Property Management) in December 2014. This designation requires experience of minimum of 2 years of property management experience, 18 + hours educational courses in Property Management curriculum, letters of recommendations from clients, and other professionals. 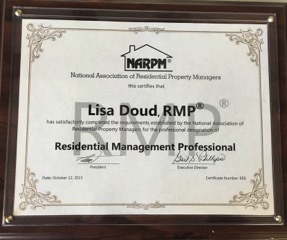 I am please to state that I was awarded my RMP® designation in October at the 2015 NARPM National Convention and Trade how in Atlanta Georgia. I applied for Candidacy as a MPM® Master Property Manager in December of 2015. This is a designation that requires experience of 5+ years, you have to receive the RMP® designation, you have to provide over 500 unit years of experience as a property manager, must successfully complete 24 hours educational courses in property management curriculum, must have letters of recommendations from 3 clients and 2 MPM® peers. 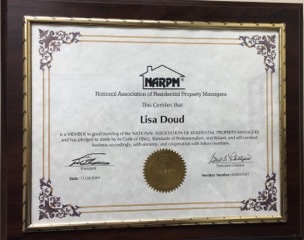 I was also required to have 200 hours of service to NARPM® in order to achieve this goal. I am pleased to say that I was awarded this designation August 2017. As part of my continued support of NARPM®, I the 2017 Virginia Peninsula NARPM Chapter President, and I am currently serving as the Vice Chair for NARPM® National Professional Development committee, which is responsible for streamlining the education for property mangers, as well as providing designations and certificate programs for property managers. I look forward to continuing to grow my education as well as provide quality services to like-minded owners. Originally from Bridgeport, CT my family relocated to Kissimmee, FL where I going the Navy in 1992. Lisa and I met while we were both stationed in Great Lakes, Illinois for “C” school in 1998. Home ported in Norfolk, VA, I was on various destroyers and numerous aircraft carriers. As an Interiors Communications Electrician I had the advantage of learning new and modern technology, knowledge that I currently use here at Doud Realty Services when assisting in minor troubleshooting maintenance for our tenants. On my last shore tour in February 2011, my old friend, Lisa, approached me to assist her with the management of her company then called Doud Property Management under Gallery of Homes Realty. She taught me the ins and outs of the property management business. I became familiar with the innovative software that governed the operation of the business from correspondences to the finical book keeping it incorporated. I retired from the Navy in December 2012 and took a year off to spend time with my husband, who is currently retired from the Navy and my two sons. With both our military background and our families being a huge priority, we brain stormed the “wants and needs” of future clients/owner and prospected tenants. We integrated a new management software that currently pioneers the success of the business and allowed me to work for home until Feb 2014 when I was hired on full-time by Doud Realty Services as the Office Manager and run the Accounting Department. I assist in the day-to-day management of 3 personnel, customer service and accounts receivable/payables. I was introduced to the National Association of Residential Property Managers (NARPM®) when I attended the 2014 National Convention and Trade show in Atlanta Georgia. I realized this was a wonderful organization that allowed us the opportunity to gain knowledge as well as introduce us as Doud Realty Services, Inc. to new technology to help us more efficient for our owners and tenants. I jointed NARPM® as a Support Staff member in December 2014, and quickly started volunteering. I assisted with registration at the 2016 Virginia State NARPM® Conference in Virginia Beach Jan 21-22, and have gotten involved with the Virginia Peninsula NARPM® Chapter. I am volunteering the 2017 Designation committee Chair for our Chapter. To learn and provide better service for our clients, I applied to be a NARPM® Certified Residential Management Bookkeeper CRMB® in December of 2014. To earn this certificate I am required to take NARPM Education Classes related to Finance and Office Operations. I am also required to serve the NARPM organization volunteer service. I hope to have my certificate by the end of 2017. Born in Waterbury Ct., I graduated from W.F. Kaynor technical high school majoring in automotive repair. In the 90’s, because my brother ran a thriving roofing and remodeling business in CT., I was able to experience many aspects of rehabbing properties. I believe it was then when I started thinking about getting into real estate. In 2000, I completed a college course in computer repair in Manchester, NH. 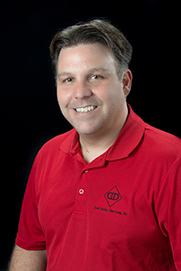 For many years I worked as an automotive technician specializing in repair, electrical troubleshooting, auto accessory installation working with customers all along the way. For 10 years I was an installer, trainer and did tech support for a breathalyzer company in NH, Texas and eventually Virginia Beach, VA. Looking to change my career path, in 2016 I acquired a life insurance and real estate license. After working with a few different brokers, I decided to join the Doud Realty family in 2018 so I could work side by side with professionals that specialize in all aspects of real estate...Management, Investing & Sales of both single and multi family properties. I feel they encompass all the right qualities and experience to accomplish customer satisfaction from start to finish. I personally enjoy helping people in any way I can and I’m hoping I can create solutions for you as a great property manager whether your an owner, investor or tenant….the Doud way! Personally, I am married with 3 children, involved with the baptist church, a musician, and love to fly both RC and real helicopters in my spare time. I was born and raised in small town Pennsylvania about 30 minutes outside State College… (WE ARE!). I love sports of any kind, however I am a New England Patriot fan first! I married into the military at 18 and started a love of travel. I have lived in Illinois, Virginia, California, Washington, Florida, Spain and Italy. I spent most of my adult life being an amateur traveler. We have a fur baby greyhound named Dexter, yes after the Showtime series, and yes he has lived up to his name. After moving back to Virginia a few years ago and renting, my spouse and I bought a house in Virginia about 2 years ago looking to set down roots. I started working again at another company that just didn’t seem to understanding balancing home/work life for their employees or their tenants. It is important to me that everyone feels heard and valued. 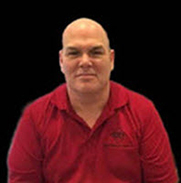 I moved to Doud Realty Services to be with a family, from owners to tenants to co-workers. It has been a great place to call home. I was born and raised in a small town in central Georgia. In 2013 I graduated with honors from East Coweta High School. After High school I went directly into the Navy. I did two deployments on DDG-79, USS Oscar Austin which allowed me to visit several different countries, to include; Spain, France, Germany, Estonia and several others. After leaving the Navy I did some security work but was ready for a new career I could grow in. 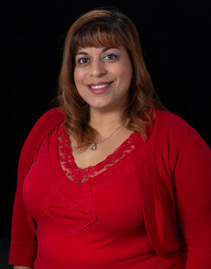 I started working with the Doud Management Team in July of 2018 and really enjoy my position. Personally, I have been married for a little over two years to a wonderful man I met when I was still in the military. We do not have any children, but we do have a pit/boxer puppy that we adore and love. I grew up in San Diego California were I spent a lot of time building and remodeling homes with my father. I joined the Navy and that is what brought me to the Hampton Roads area. I bought my first house in Virginia Beach in1999. In that first property I was doing something that is called house hacking. I had two roommates that were paying me $350 a month each and my mortgage was less that $700. So I was living for free except for utilities. I meet my future wife in 2001 and she had already owned a townhouse in Virginia Beach. We got married and bought a house together while keeping our original houses as rentals. In our first property together we did a live in flip. We lived there just over a year, did a complete remodel and sold for a profit. Since then we have purchased and rehabbed several single family homes that we still own as rentals. Part of making the numbers work is looking at the after repairs cost and being able to cut costs by doing all the repairs your self. When the residential mortgage money dried up we started purchased Multi family properties with commercial financing. With my experience in purchases of investment properties (single family, and multi family units), I believe that I would be a perfect fit for you to help identify and purchase the right investment for your portfolio.